The Ministry of Defense of the Russian Federation presented the development of a nuclear weapons complex to foreign delegations. Russia has tested more than 600 types of weapons in Syria, AA reports with reference to a statement made by Deputy Defense Minister Yury Borisov on August 31 at a press conference on the results of the international military technical forum "Army-2017". "Arms developers were presented in Syria during the approbation of weapons and equipment and, according to the results, they promptly made adjustments to the project documentation, and then re-submitted the items for testing," Borisov said. According to the military official, the demonstration of the possibilities of Russian arms affected the export: "Now customers are lining up for Russian weapons." Reportedly, during the forum the Deputy Minister of Defense of Russia told about the closed exposition of the international military-technical forum. It demonstrated development of the nuclear weapons complex of Russia to the foreign delegations. 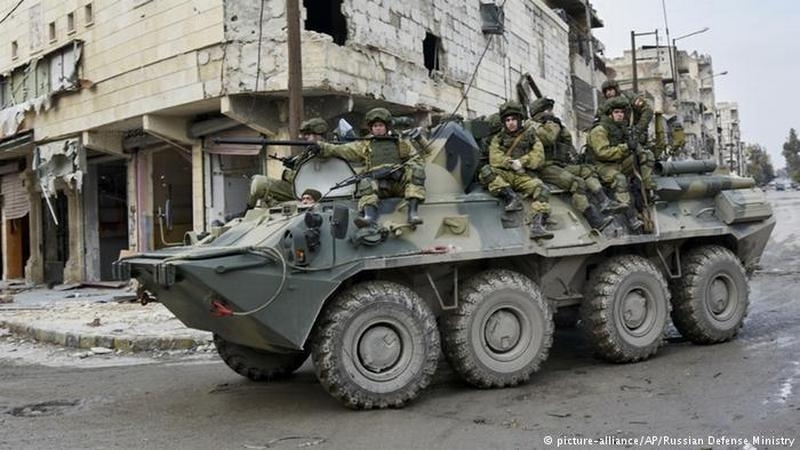 According to estimates by the Reuters news agency, 36 Russian servicemen were killed in Syria in the period from the fall 2015 to the end of 2016. The Ministry of Defense of the Russian Federation recognized the death of only 23 military men. Of the 40 deaths this year - 17 military and 21 mercenaries, the status of two more dead Russians could not be established.